A little over three years ago, Eugenian and rabid Oregon Ducks fan, Charles Fischer, had an idea. So Fischer decided to create a website that zeroed in on the intricacies of college football, Oregon style. FishDuck.com was born, on a platform designed to handle as many as 500 visitors a day, an almost unimaginable number back then. 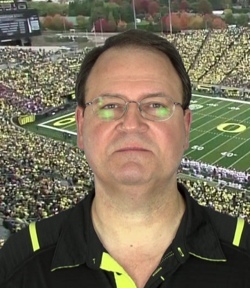 By this January, Fischer’s digital tribute to all things Ducks football (now with some basketball, baseball, and softball thrown in for good measure) was averaging a staggering 10,000 visits a day, placing it among the top one percent among all the world’s websites in terms of daily traffic (from Alexa, a trusted third party source). Intriguingly, these visitors come from all 50 states, and nearly 60 countries. When they come to the site, they read the articles Fischer’s talented corps of 90 volunteers put together — up to half a million times a month. The site’s unique instructional videos have been viewed over a million times, and counting. Those are heady numbers, indicating readers flock to the site precisely because it’s so focused on the Fighting Ducks, not in spite of that fact. In other words, if anyone doubts Oregon sports generally, and Ducks football in particular, has become a national — or even international — brand, send them to Fischer to be set straight. But it’s not just the Ducks’ halo that draws visitors to the site. The quality of its content is a crucial piece of the FishDuck.com success story, whose articles have been cited by prestigious print and online publications such as the Wall Street Journal and the Washington Post. None of this escaped the attention of the USA Today Sports Media Group, hungry for outstanding content partners to bolster their substantial national network of affiliated sports websites. It came as little surprise when Fischer and Emily Bahor, USATSMG’s Director, Publisher Management, recently announced that FishDuck.com would be joining a USA Today network of over 185 premium sports sites across the United States. 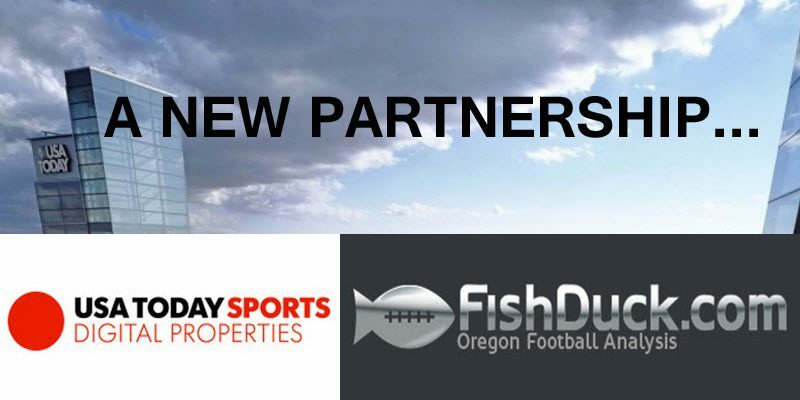 “We believe that the collaboration between the USA Today Sports Media Group and the Oregon football expertise of FishDuck.com (located in Eugene, Oregon) will provide readers and advertisers access to top-quality content surrounding University of Oregon sports,” said Bahor in heralding the new relationship. 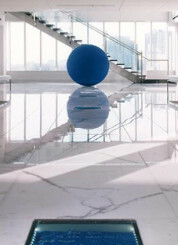 When FishDuck.com founder Fischer was asked what, in his opinion, were the deal’s primary benefits, he began by underscoring the value of being part of a national network. “I don’t have to hire a national ad agency, because USA Today Sports Media Group will now handle that for us,” he said. This has the potential, over time, to generate new revenue for a site built largely on passion and sweat equity. Gannett/USA TODAY Building in McLean, Virginia. “We have a reciprocal content sharing agreement with USA Today Sports Media Group,” he continued. “We will have access to their very substantial pool of sports content, while they will, thanks to us, be able to tap into a steady stream of outstanding Oregon-centric content. We’ll also have access to the huge AOL video library, with daily listings from USA Today, Sports Illustrated, and Campus Insiders. And then there’s the fact our writers now have the opportunity to have their work reach a much larger audience, providing them with a powerful showcase for their talents,” he concluded. Fischer and his all-Ducks, all-the-time website have come a long way in three-and-a-half years. But while FishDuck.com may have become flashier and even bigger with this new alignment with USA Today Sports Media Group, it still walks, talks, flies — and quacks — like a Duck!